Hills canine d d salmon rice is a tasty meal for dogs that is designed to relieve and sooth uncomfortable signs of digestive problems, and help avoid developing common food allergies. It has a great taste that your four legged friend will love. 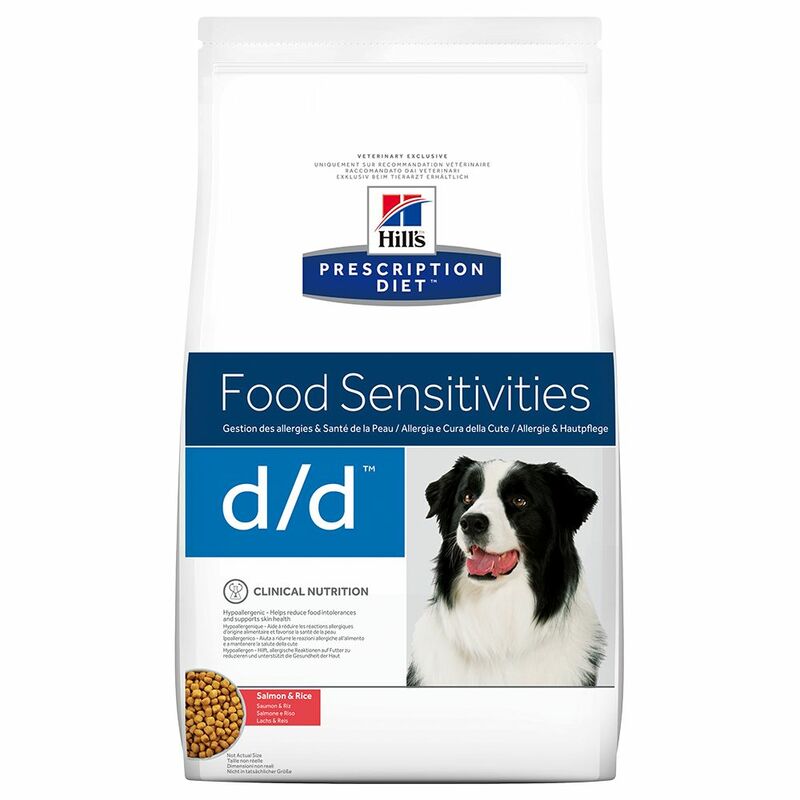 Hills canine d d salmon rice is for the nutritional management of pets with food allergy or intolerance. Food allergy or intolerance may result in numerous skin and stomach problems that can cause discomfort and pain in your dog. Also known as adverse reactions to food, this condition is due to a usually abnormal response to a specific protein found in the food. Hills canine d d salmon rice comes with novel protein sources to help your pet. As allergic reactions to beef, dairy products and wheat are reported most frequently, prescription diet canine d d foods do not contain any of these. This food may benefit dogs with chronic otitis externa, interdigital pruritus and perianal pruritus, which can be signs of an adverse food reaction.